DESCRIPTION Wow! Pride of ownership much? From the second you walk into this home you will see perfection. Move in ready, clean and modern! It seriously looks brand new. Upgrades include, larger hot water tank, kitchen tap w/ a light showing its current temperature, custom dining room light fixture, nest system, doorbell cameras & granite counters in the kitchen and bathrooms. South front door or the north garage door leads you into the den area w/ a 2 pc bath off to the side. If desired the den could be turned into a 3rd bedroom. Spacious main level has a full appliance package, massive pantry, eat up bar & a balcony off of the kitchen to BBQ or relax on. Upstairs has two good sized bedrooms, convenient upper laundry & a 4 pc bath. The master showcases his & her closets with sliding doors to save space! TWO parking spots starting with the driveway leading to the oversized single garage with plenty of storage space (cabinets and bike racks are staying). LOW Condo fees. See this beautiful unit for yourself! Home for sale at 358 Silverado Cm Sw Calgary, Alberts T2X 0S4. 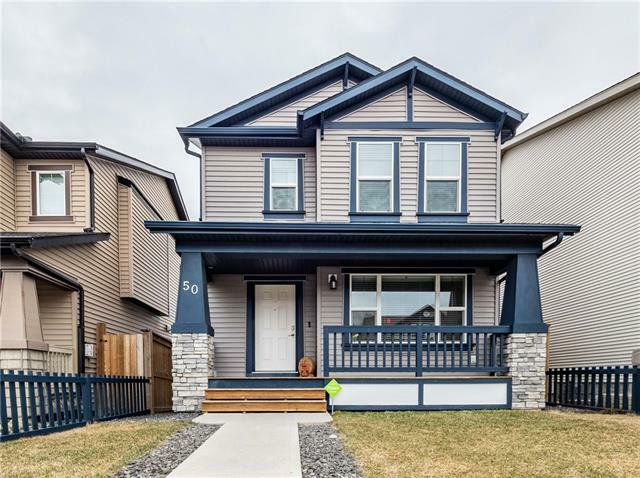 Description: The home at 358 Silverado Cm Sw Calgary, Alberta T2X 0S4 with the MLS® Number C4238386 is currently listed at $278,888.